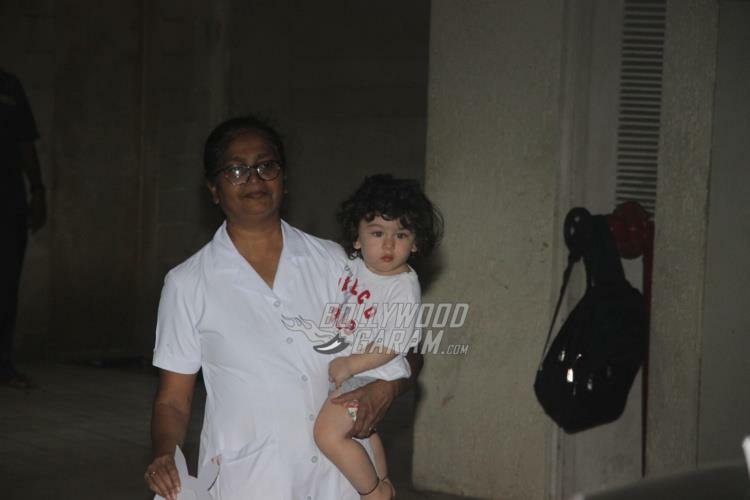 Kareena Kapoor and Saif Ali Khan’s son Taimur Ali Khan has constantly been under media attention since the time of his birth. 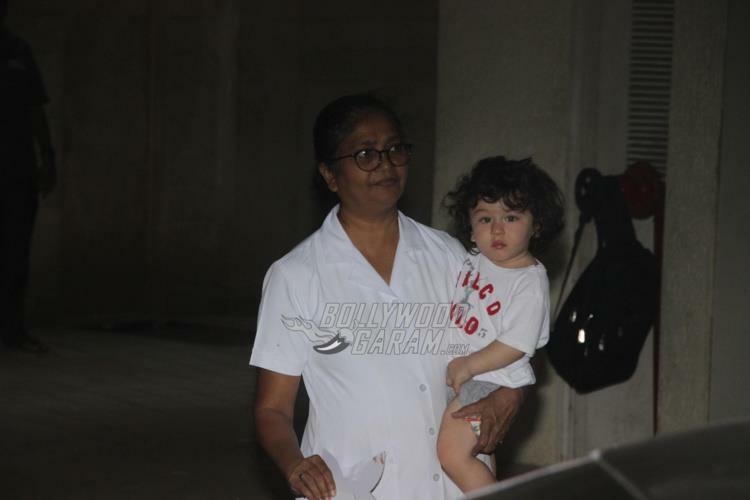 The parents in an earlier interview had expressed that they are not comfortable with the constant media attention around their son. 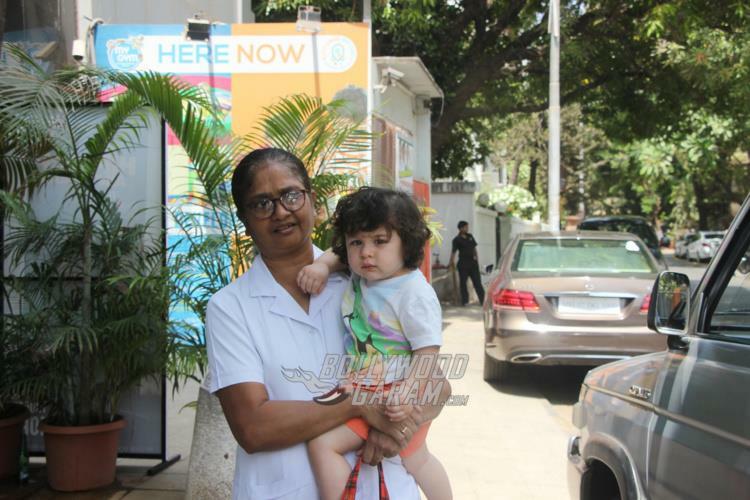 The little one was this time snapped outside his play school with his nanny in Mumbai on May 9, 2018. 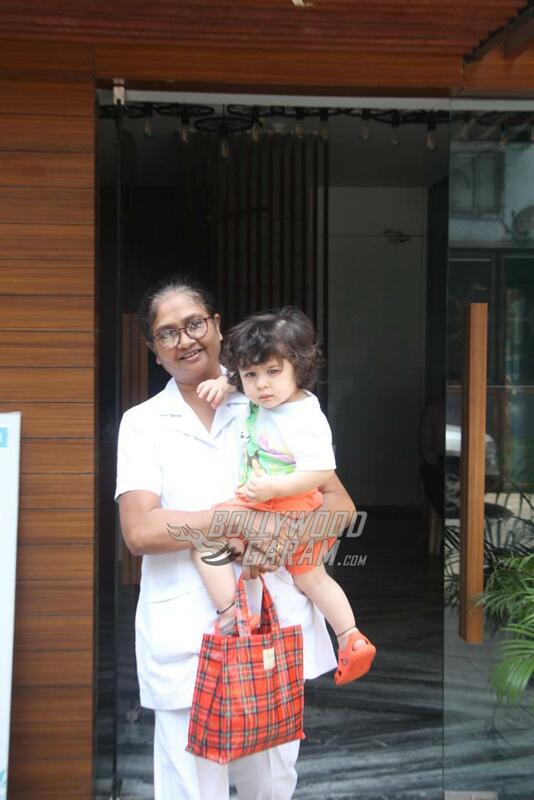 Taimur looked adorable in a white t-shirt and orange pants with orange footwear. 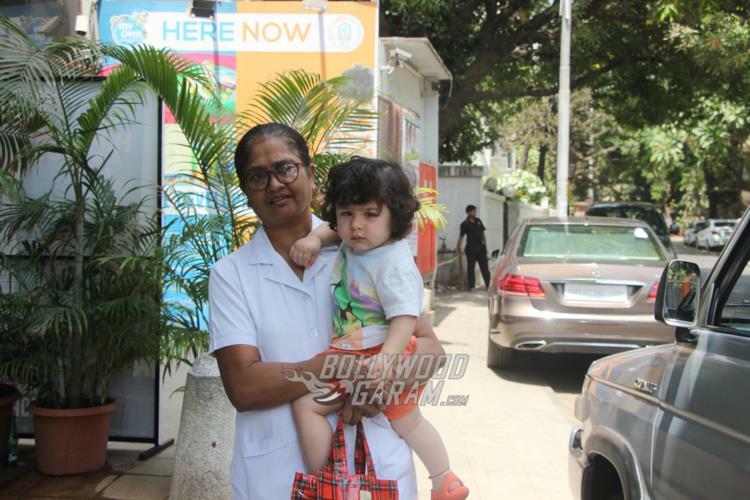 The little one was accompanied by his nanny as they came out of the play school. 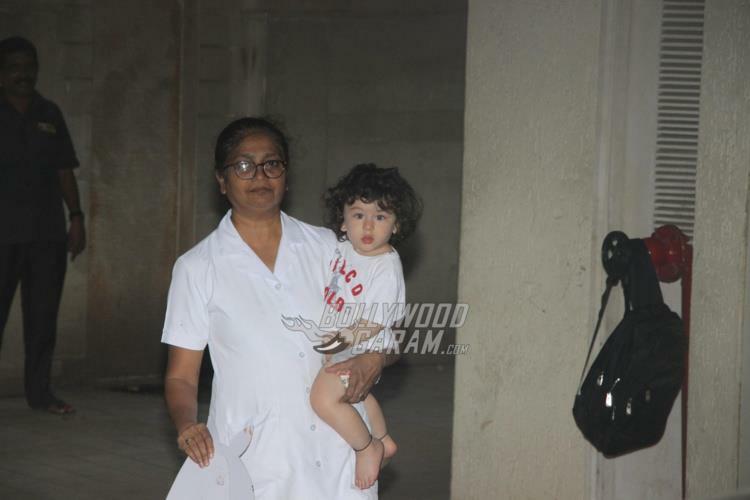 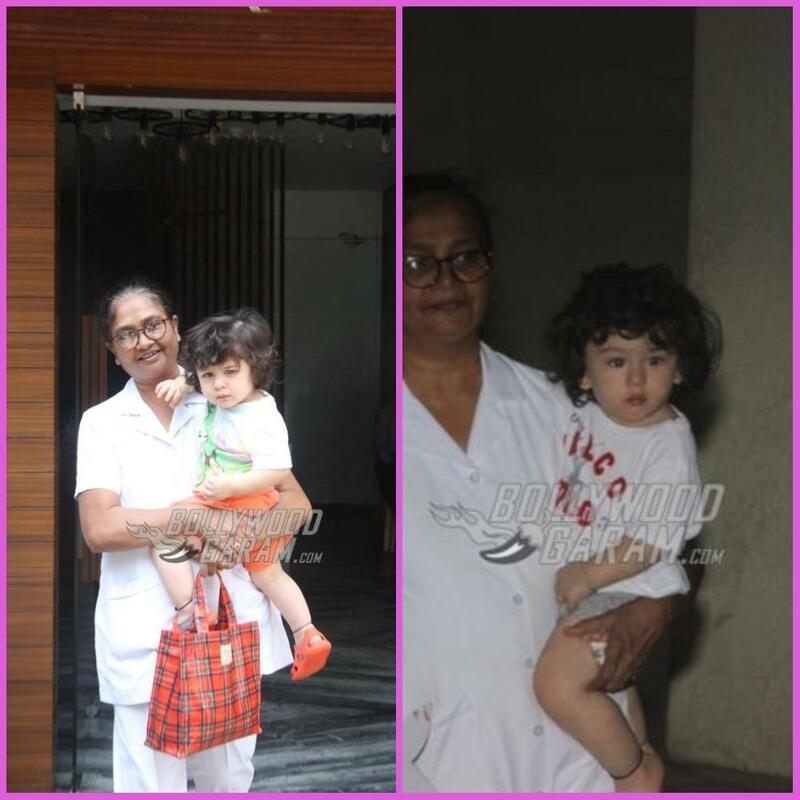 Later in the day Taimur was snapped again at a friend’s place with his nanny in Mumbai. 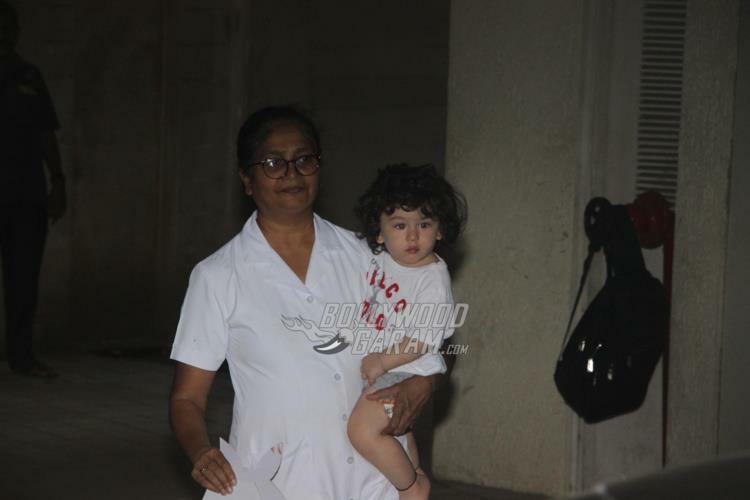 Taimur made an adorable appearance at Sonam Kapoor and Anand Ahuja’s wedding held in Mumbai. Saif, Kareena and Taimur had appeared in pink ethnic outfits for the occasion and looked great together. 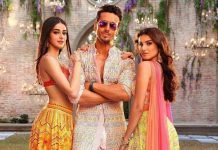 Mother Kareena is currently looking forward for her upcoming film Veere Di Wedding which will be released in theatres on June 1, 2018.